We were blessed to have a visit during the holiday season from Sun Lakes Women 4 Hope Golf Tournament Committee. They presented us with a check for $3,300! This money will help with the guest fee assistance fund at Hope’s Horizons Transitional Living Program. Thank you so much, Sun Lakes Women 4 Hope!!! 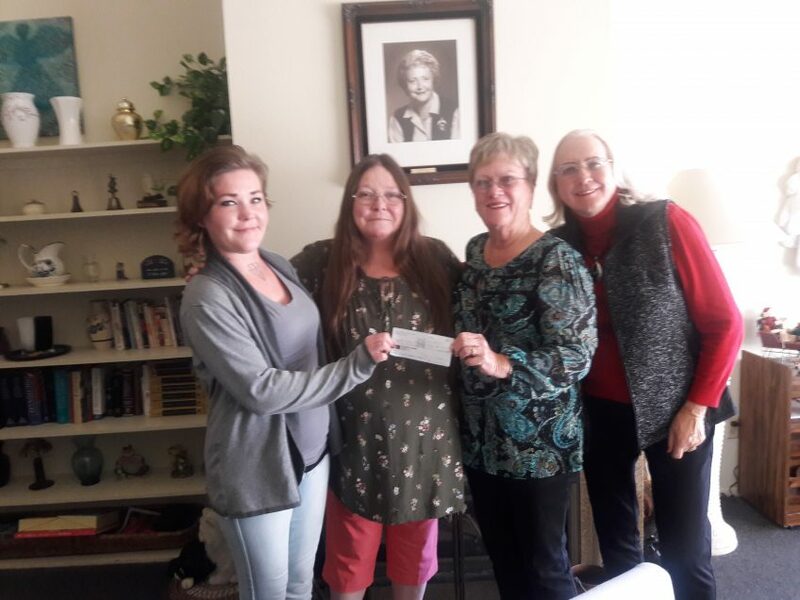 Pictured above (left to right): Destiny Ferris, Hope’s Horizons Resident; Cynthia ‘Oma’ Gray, SHOH Executive Director; Karen Hoferer and Kay Rawle of Sun Lakes Women 4 Hope Committee.